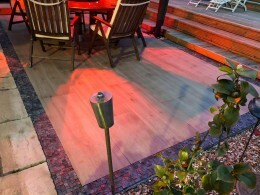 We have a large range of paving solutions in stock at our premises in Ranskill. 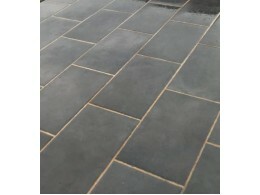 A beautiful top grade Indian Stone paving slab (also known as Indian Sandstone and Raj Green) when only the best will do. 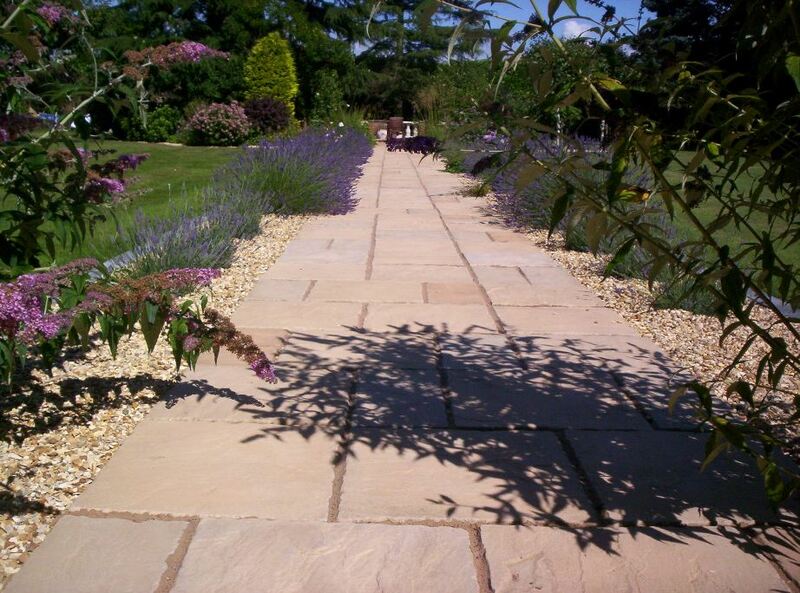 Each paving stone is unique with differing riven profiles and tonal variati.. 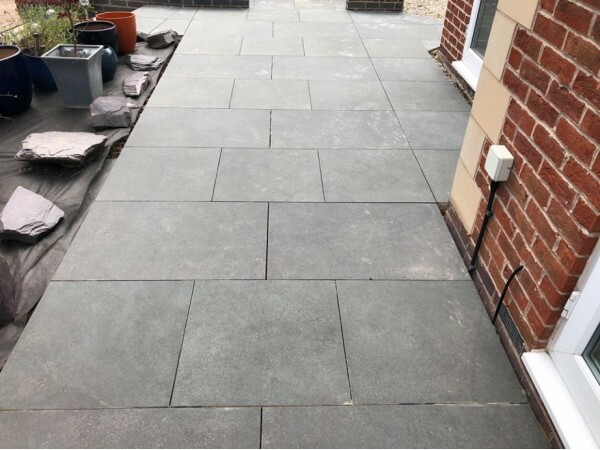 This top of the range Indian Sandstone Paving has been diamond sawn then calibrated and honed to leave a smooth matt warm golden buff coloured appearance with some surface quartzite that sparkles i.. 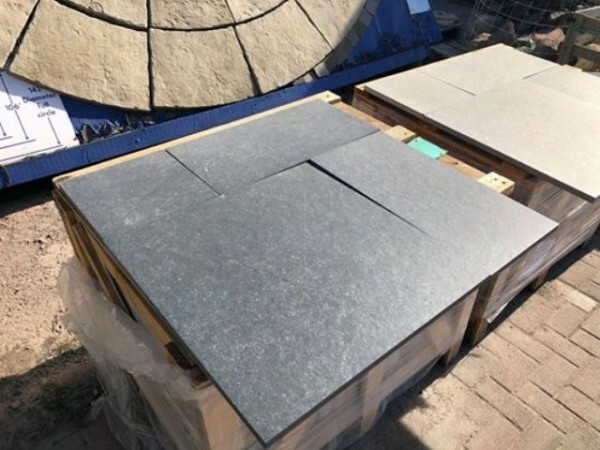 This top of the range Indian Sandstone Paving has been diamond sawn then calibrated and textured to leave a slightly mottled surface to this hard wearing stone, and with some quartzite that s..
Porcelain Paving Nero is virtually indistinguishable from natural stone, with the colour, texture and feel that one would expect from such a top quality product. This exceptional vitrified porcelain is fired at 1400ºC, then rectified, and is the best quality available in the world today. *Frost and extremely cold weather. *UV Light - Fade resistant, the colour is locked in for many years to come. *Ultra low water absorption - Which helps resist stains from spillages, or moisture, which impedes moss and algae, penetrating the surface. *Withstands high breaking loads, over 1000kg per slab. *Non Slip and does not shrink, warp, or rot. *Made to all EU safety and product standards. See specifications sheet for further details. Can be laid dry on a bed of sand. 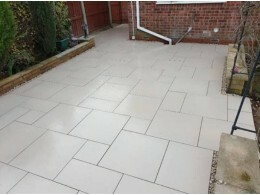 If laid on a screed, a bonding primer must be brushed onto the underside of each paving immediately prior to laying. 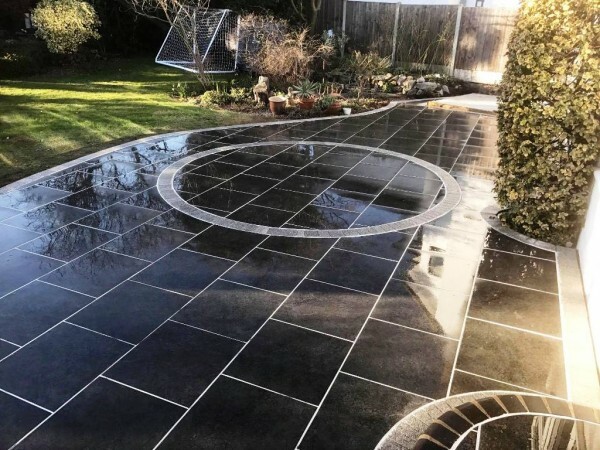 * We only buy from organisations that are certified ISO 9001, producing only the best quality stone Reg number ISO 9001 : 2008, ISO 14001 : 2004, OHSAS 18001 : 2007, ETI & CE certified company. Details available on request. 1 Pack - Up to 40 miles - Free Delivery with Hiab Crane Offload. Deliveries further than the above mileages will still be free,but we may use the tail lift method of delivery. Your goods will normally be delivered and offloaded by Hiab/crane, which can usually place the pallet where you need it, in a safe and suitable place. Where the distance is more than 50 miles, please call 01777 817901, to check the method of delivery, as we may use the tail lift method which has certain restrictions, and may not be suitable for you. In the event of this type of delivery, we strongly recommend you read the full details of our delivery information at the bottom of the page. If the tail lift method is used, this product requires the assistance of an able bodied person on the day of delivery to help offload. 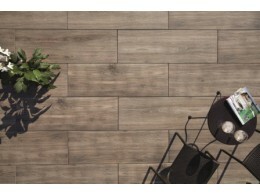 Porcelain Paving Walnut is virtually indistinguishable from natural wood, with the colour, texture and feel of real walnut wood. 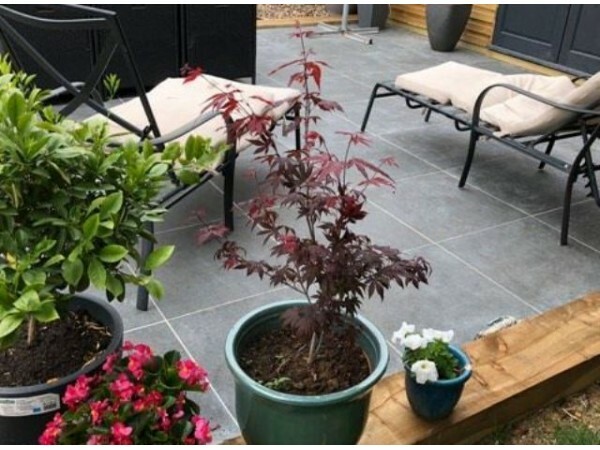 This exceptionally high quality porcelain is made in Italy, fired at 14..
Porcelain Paving Oak is virtually indistinguishable from natural wood, with the colour, texture and feel of real oak wood. This exceptionally high quality vitrified porcelain is made in Italy, fired a.. 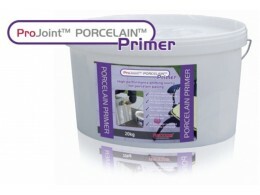 Pro Joint Porcelain Primer 20kg Tub An ultra-high polymer and fibre modified flexible waterproofing primer with excellent workability and adhesion properties. 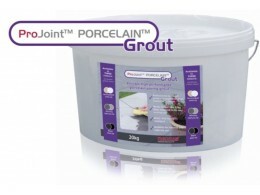 Applied in one coat fo..
Porcelain Paving Grout - Pro Joint 20kg Tub Specially formulated for porcelain paving, Projoint grout has been developed for joint widths 2mm - 20mm. Ideal for internal or external use. 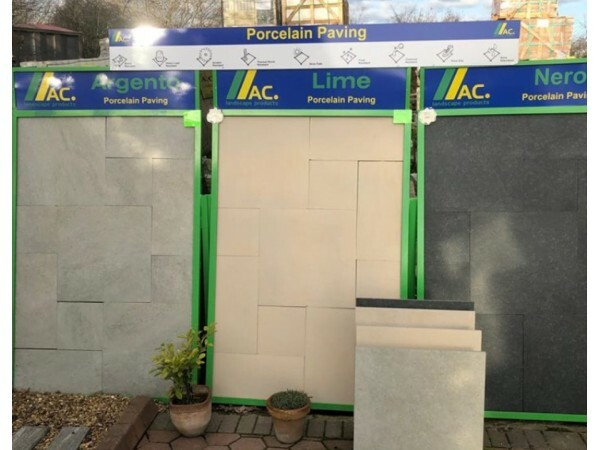 Uses ant..
Order a Sample For £5 (Refundable) Porcelain Paving Lime is virtually indistinguishable from real natural stone, with the colour, texture and feel of the Pure Mint sawn and honed. 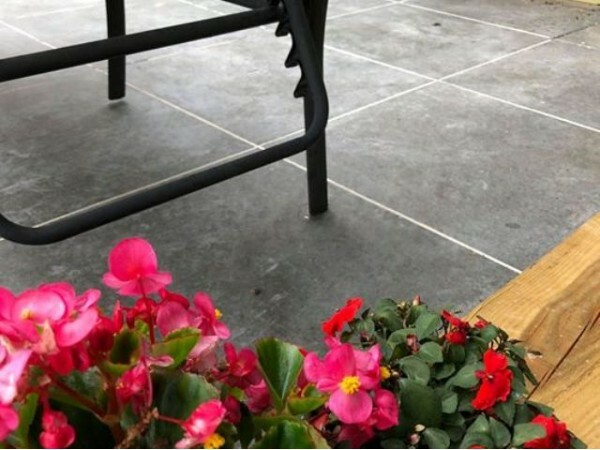 Thi..
Order a Sample For £5 (Refundable) Porcelain Paving Quartz is virtually indistinguishable from natural stone, with the colour, texture and feel of a real stone product. 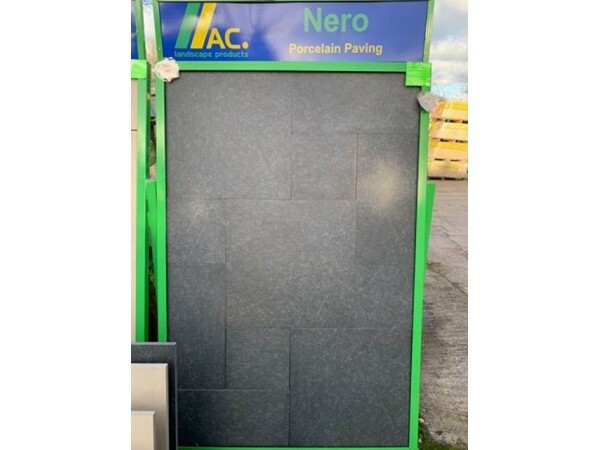 This exceptional v..
Order a Sample For £5 (Refundable) Porcelain Paving Argento is virtually indistinguishable from natural stone, with the colour, texture and feel that one would expect from such a top qual..
Porcelain Paving Argento is virtually indistinguishable from natural stone, with the colour, texture and feel that one would expect from such a top quality product. 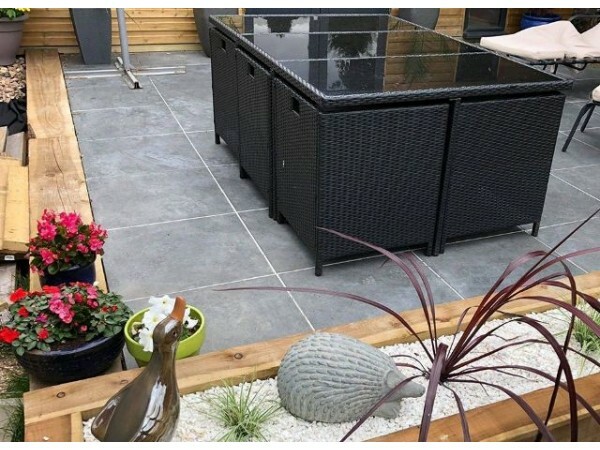 It is non-slip (R11) and ..
Porcelain Paving Lime is virtually indistinguishable from real natural stone, with the colour, texture and feel of the Pure Mint sawn and honed. 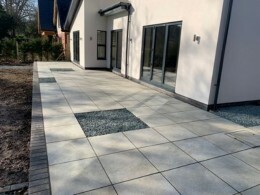 This paving is non slip, and frost and UV..
Porcelain Paving Quartz is virtually indistinguishable from natural stone, with the colour, texture and feel of a real stone product. This exceptional vitrified porcelain is fired at 14..